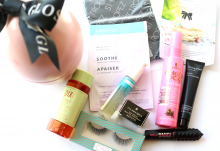 September 2016’s Birchbox is unquestionably striking, both by box design and the products included, subscribers were definitely in for a treat. 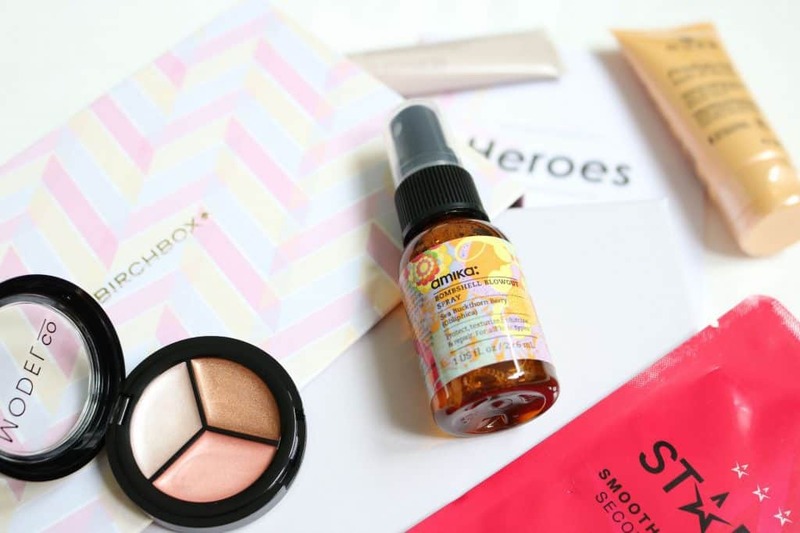 This month’s box focuses around the theme of heroes – the heroic products that get us through the gloomy end of summer, and the heroic women who inspire us every single day. 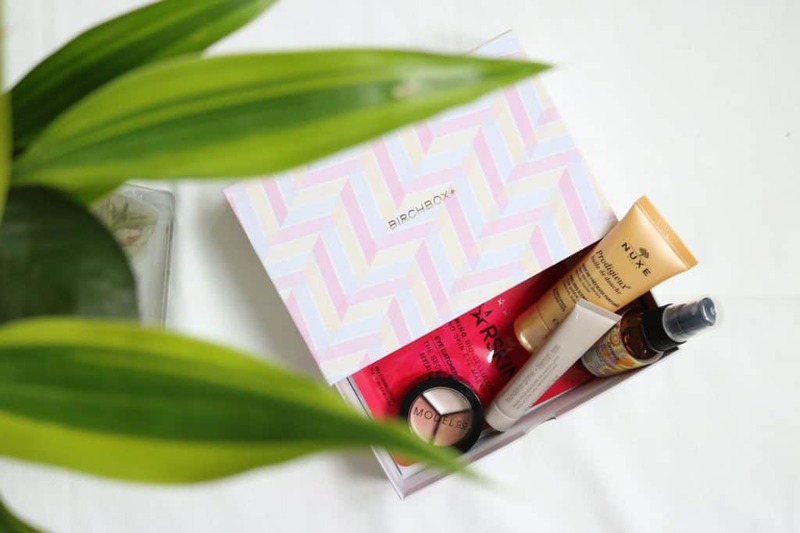 The box itself was inspired by a fellow Birchbox subscriber called Philippa Colliass, who created a bold, colourful moodboard to set our minds alive. I cannot deny that the final product is stunning – the pink, purple and yellow design is so pretty that I’m going to just have to find an alternative use for the box – its far too insta-worthy to go to waste! The products themselves were definitely heroic too – five whopping products from big names! I was lucky enough to receive a ModelCo Highlighting Trio, Amika Bombshell Blowout Spray, Laura Mercier Foundation Primer Blemish- Less, Nuxe Prodigieux Shower Oil and Starskin Eye Catcher. What a mouthful! 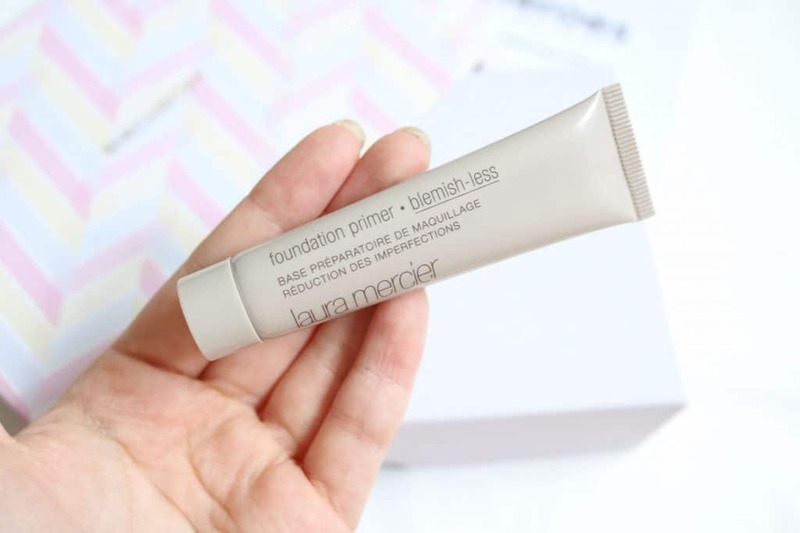 The first product to catch my eye was definitely the Laura Mercier Foundation Primer Blemish- Less. I was a big fan of Laura Mercier primer back in the day (well, only a couple of years ago), but in an ever growing bid to cut costs I stopped repurchasing it, and I very rarely use a primer at all now as I’ve fallen out of the habit. So, I was super excited to see the primer in the box and couldn’t wait to give it a go. I first used the primer on a full face of makeup for a house party I was attending and was instantly impressed – it really helped ensure a smoother base and my makeup stayed put ALL night! We even ended up dancing the night away in a bar for a couple of hours – despite this, I woke up the next morning with my makeup still pristine. I cannot believe I ever stopped repurchasing this – never again. 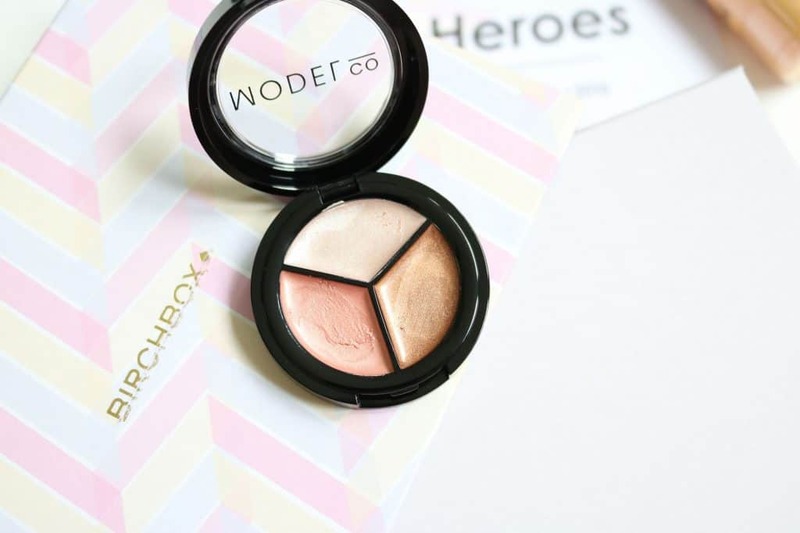 This is definitely a heroic product every girl needs in her makeup bag! 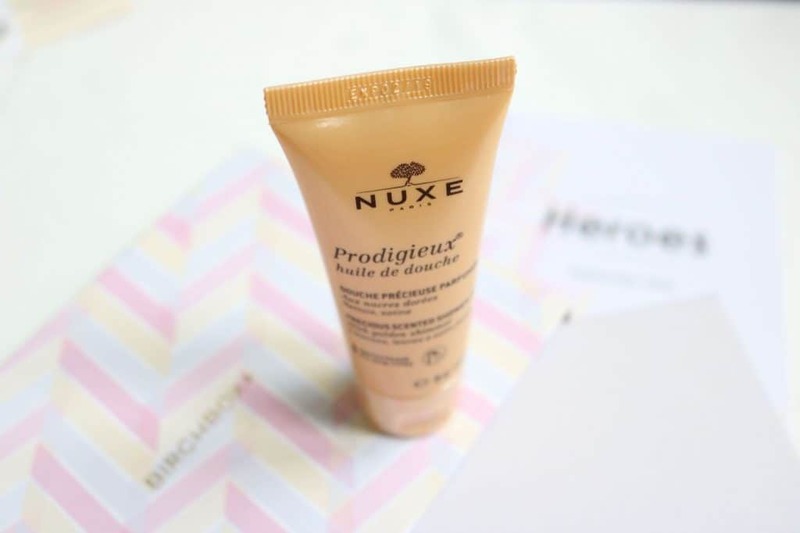 The same house party also allowed me to trial one of the other products in this month’s box – the Nuxe Prodigieux Shower Oil. This shower oil is gold, glittery, skin softening and smells divine. I was a little disappointed the glitter didn’t stick to my skin (I’m a 5 year old at heart, the prospect of being a glitter fairy should definitely not have excited me as much as it did), but I cannot fault the formula at all – I probably towel dried a little too harshly. Added with water it turns from a normal shower gel consistency into a luxurious oil. My skin is left super soft after using this oil and it is now well incorporated into my more time consuming pamper days. Smoothing a gold oil gel over your body really does make you just feel so relaxed and princessy, even if you do have to wash it away! 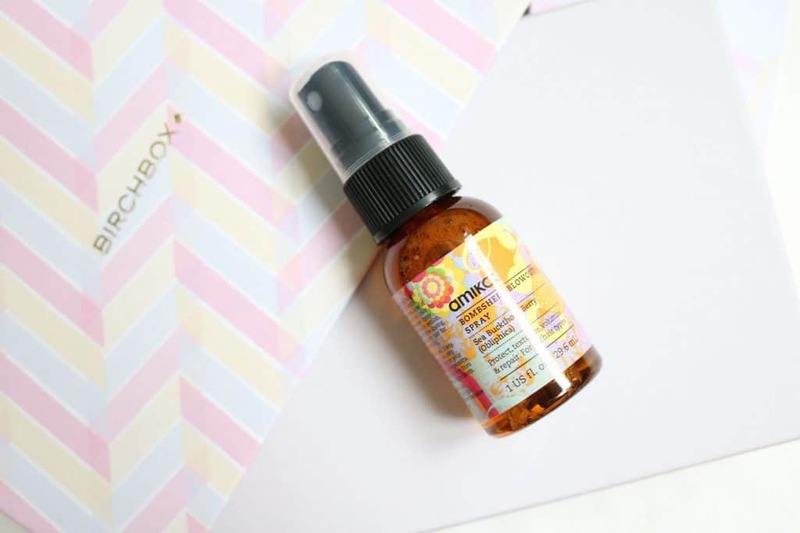 The Amika Bombshell Blowout Spray promises to protect, texturize, volumize and repair… and I have to say: it lives up to this! It gives a nice touch of volume but also helps control frizz and enables you to style your hair a little better. I can definitely see a difference when I’ve used this product on my hair before blow drying – my hair is smoother, glossier and holds a shape better. It is especially a handy spray to have near if you’re planning on curling your hair. This ModelCo Highlighting Trio is a dream come true… I just cannot fault it whatsoever. Firstly, it is the perfect size – it is SO handbag friendly for touch ups on a night out! It has everything you need in one, too – highlighter, contour and blush. The formula is SO creamy that it smooths on and blends well even with just your fingers! I am seriously impressed and this is definitely my new go-to for a dewy makeup look. Last but not least is the Starskin Eye Catcher. 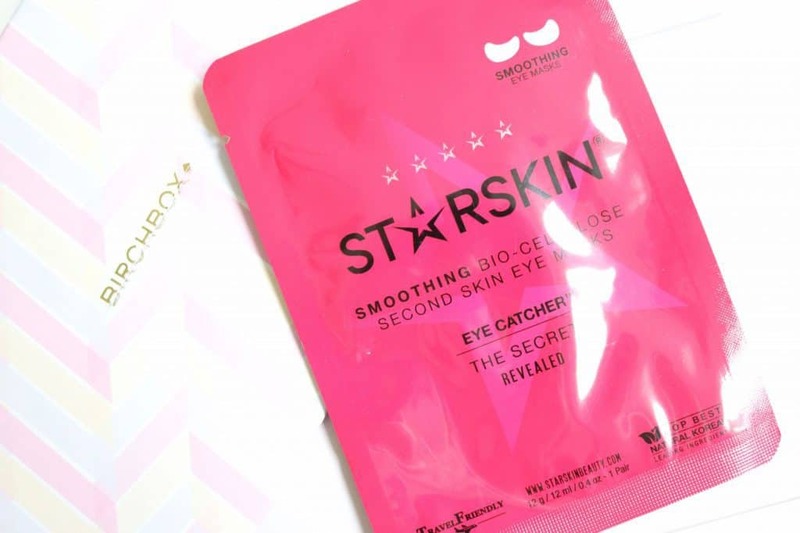 Starskin is a brand I’ve used before – their sheet masks are divine, so I was excited to try their eye masks too. 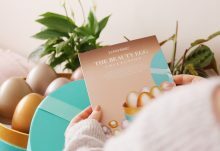 The eye masks were well saturated in serum and hydrated my under eye area so well – I could definitely see a difference after using them as I looked significantly less ‘puffy eyed’. The only negative thing I have to say about these is they didn’t stay in place – they were too heavy so slid down my face, even when I was trying to keep my head as horizontal as possible! 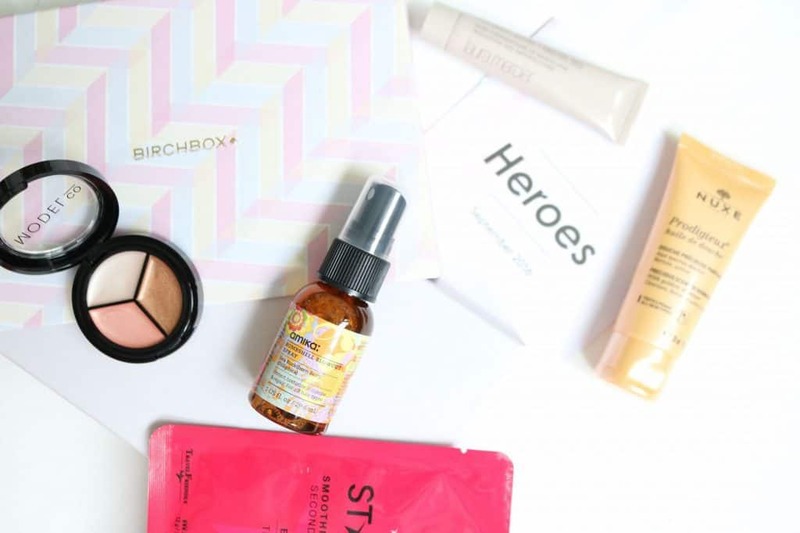 Overall I was thoroughly impressed with this Birchbox and it definitely contained some much loved heroic products! This seemed like the perfect box for September as it contained a lot of luxe products to get us through these darker evenings. 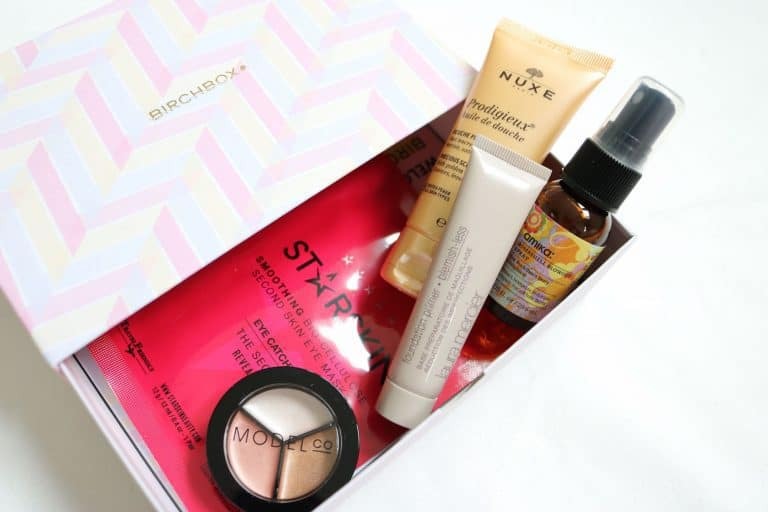 A great Birchbox packed full of some all time favourite products to get you through this transitional period to Autumn. The box itself was eye catching and a delight to receive through the post!